For decades psychotherapists have short-changed their deaf clients, defining them by little more than their capacity, or lack thereof, to hear. In her new book, Psychotherapy with Deaf Clients from Diverse Groups Editor Irene W. Leigh offers a collection of essays that shatters such restrictive thinking, boldly affirming deaf men and women as complete and dynamic individuals. 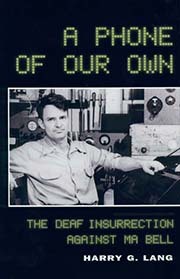 Leigh and her contributors take the common observation that deaf people often exist as a minority within a minority and apply it to the practice of psychotherapy in the pursuit of developing new, revolutionary techniques. 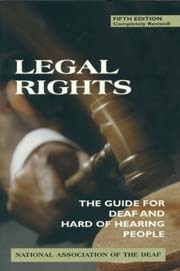 The unique and instructive cases of deaf American Indians, deaf people with HIV/AIDS, and deaf survivors of sexual abuse, among others, are illuminated by the psychology field's leading experts. Included here is an excerpt from the book's first chapter, On Being a Psychotherapist with Deaf Clients, written by Allen E. Sussman and Barbara A. Brauer. Psychotherapy with Deaf Clients from Diverse Groups is available this month to our newsletter subscribers at a special discounted rate. 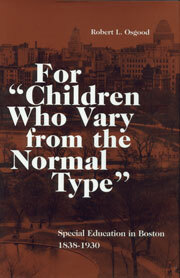 The Press is pleased to present its new books for the Spring 2000 season. Click on the covers or titles for descriptions of our forthcoming releases. Visiting England soon? Live there already? Even if neither is the case, you can undoubtedly benefit from visiting www.britishdeafnews.com, a new magazine dedicated to deaf issues across the pond. The Press's home page was recently cited as a "favourite link" by BDN, and the latter's January 2000 issue features a profile on Gallaudet's own William C. Stokoe. 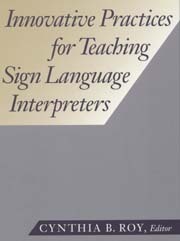 After a three year hiatus, Sign Language Studies will resume quarterly publication this Fall under the direction of Editor David F. Armstrong. Founded in 1972 by Dr. Stokoe, SLS paced the study of sign linguistics for over twenty years; the Press's recent acquisition of the journal, coupled with Dr. Armstrong's long association with Dr. Stokoe, promises to return SLS to its previous standing. Read more about the history of SLS, or subscribe now at your special discounted rate. Copyright 1999 Gallaudet University. All rights reserved.